This Thursday is Duanwu Jie, otherwise known as Dragon Boat Festival in English. There are various stories on the origin of this festival, usually including the somewhat macabre tale of villagers tossing zongzi (keep reading for what these are) into a river to prevent fish from eating the corpse of a beloved poet. No matter how the festival began, it’s celebrated these days with two basic activities: eating zongzi and watching dragon boat races. 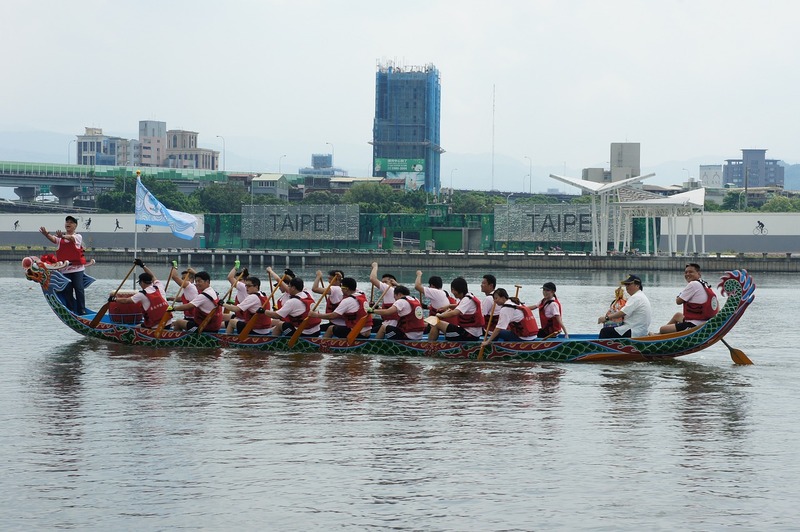 We first saw dragon boat races in Taiwan and thought they were pretty fun, though in the suffocating heat and humidity of June, standing in a crowd of sweating people next to a body of water is not exactly my cup of cha. Still, it’s something very Chinese to do, and I wondered if we’d be able to see some races here in significantly-less-humid Kunming. We’ve been pretty underwhelmed by the meh attitude Kunming seems to take towards any and all holidays, including Chinese New Year’s, so I wasn’t surprised when my local friends seemed confused when I asked if there would be dragon boat races here. You would think that with two of Kunming’s top tourist attractions being lakes (Cuihu/Green Lake and Dianchi/Lake Dian), there would absolutely be dragon boat races on at least one of them. So far, all I’ve found out is that there might be some races. Somewhere. But probably not in Kunming. Sigh. So, we’re left with eating zongzi. That seems to be a practice that the retailers of Kunming enthusiastically support. I think of zongzi as Chinese tamales. They are made by wrapping sticky rice and a filling, usually pork, in leaves to make a tetrahedron shape and then steaming the resulting packets. You can find zongzi at any self-respecting (read: not clean or modern) side-of-the-road rest stop in China year-round, but they only feature prominently at supermarkets once a year for Duanwu Jie. Right now, the supermarket near us is pushing zongzi like crazy. You can buy them with different kinds of rice and fillings, and you can purchase fancy gift packs of zongzi to bring to your family when you return home for this holiday. 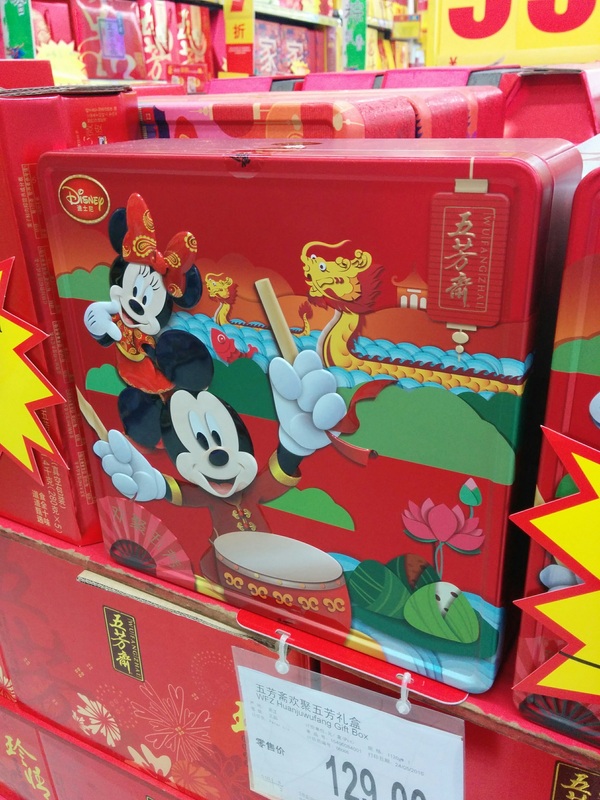 In fact, you can even buy Mickey & Minnie tins of zongzi, if you are so inclined. I bet these are all the rage in Shanghai, where Disneyland is just nine days away from opening. Props to Disney for some nice acculturation touches here. Mickey is pounding on the type of drum that usually accompanies dragon boat races. This might be the closest I get this year to the real thing. 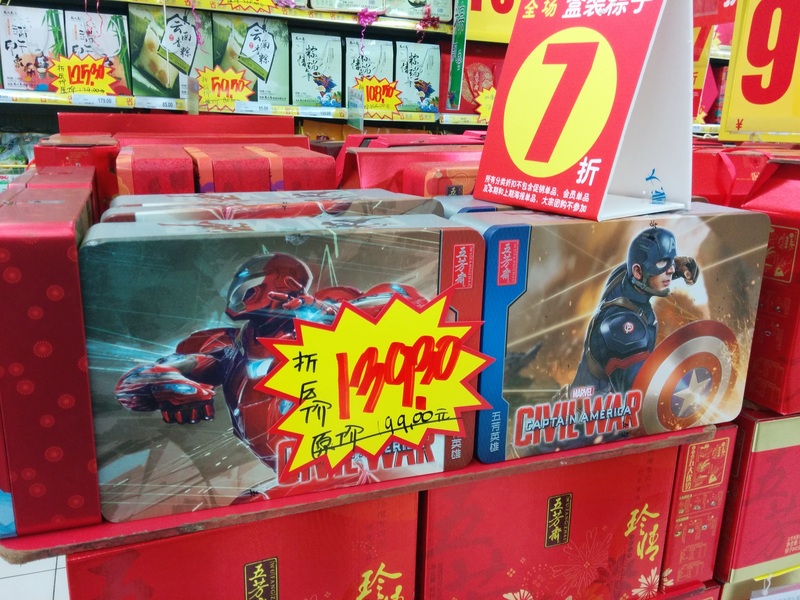 And, for those who are ready to completely toss out tradition, there are these gift boxes. Wait, no. If you really want to completely give up on tradition, there are these zongzi. 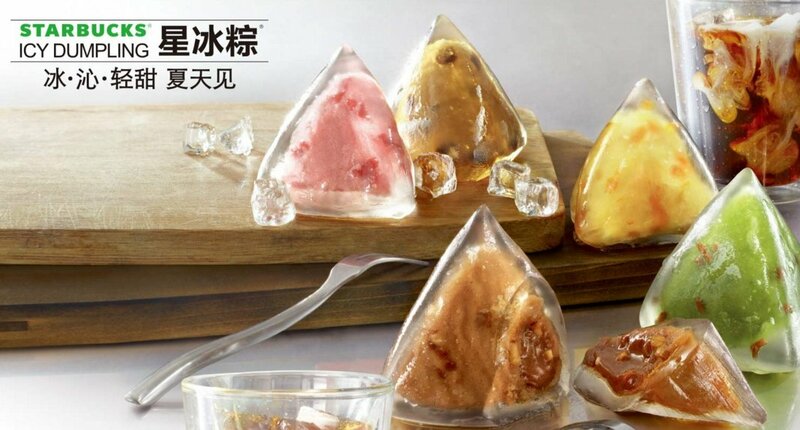 Starbucks Icy Dumplings. Admittedly, cold, sweet zongzi do look more appetizing on a hot day than steamed ones. And who can say no to flavors like mango, strawberry, and caramel macchiato? Turns out, we can. 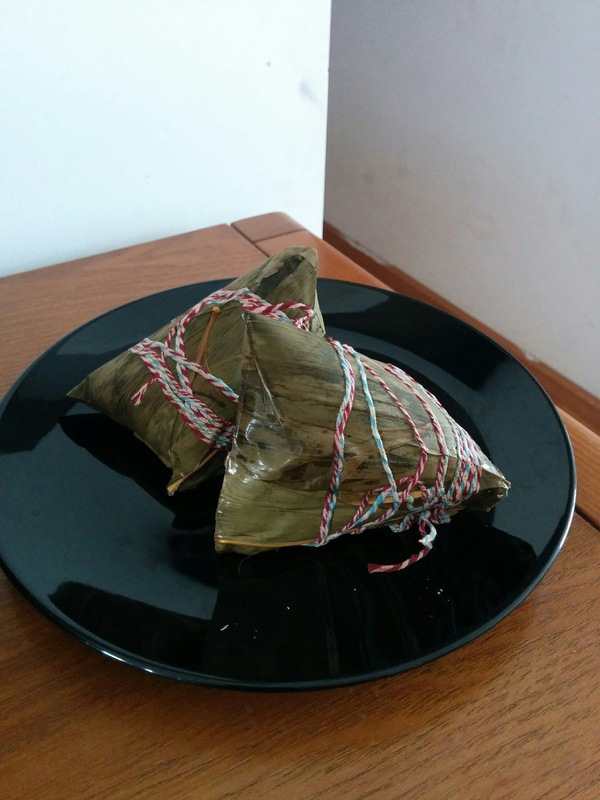 Even with all those options, we’re sticking with fairly basic zongzi this year. One kind has fatty pork, the other features purple/black rice. Thanks for sharing this tradition. 🙂 It is funny how Mickey Mouse and Super heroes have worked their way in- a blend of the old and new. And a blend of West and East!